Ohrid - the largest city on Lake Ohrid city and the 8th largest city in the Republic of Macedonia with over 42,000 inhabitants as of 2002. Ohrid is notable for once having had 365 churches, one for each day of the year, and has been referred to as a "Jerusalem of the Balkans".The city is rich in picturesque houses and monuments, and tourism is predominant. In 1979 and in 1980, Ohrid and Lake Ohrid were accepted as Cultural and Natural World Heritage Sites by UNESCO. 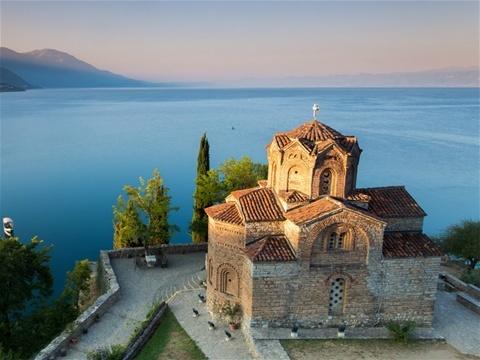 In fact, Ohrid is one of only 28 sites that are part of UNESCO's World Heritage that are both Cultural and Natural sites. PRICE INCLUDES: transport and proffesional guidance. RESERVATION: call or send us an sms on +389 71 385 939, or contact us via Facebook at least one day in advance.